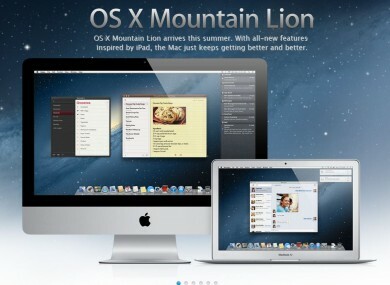 ON THURSDAY AFTERNOON, Apple took the wraps off its newest operation system for Macs called OS X Mountain Lion. Apple is shifting to a new release schedule for the software that powers its Macs. Now, instead of making you wait two or three years between versions, you’ll get a new one just about every year. It’s very similar to the iOS release schedule for iPhones and iPads. Mountain Lion is the ninth major release of an Apple operating system. Mountain Lion is due to be rolling out in late summer of this year. Email “Here are the 10 most important new features in Apple’s new Mac OS”. Feedback on “Here are the 10 most important new features in Apple’s new Mac OS”.